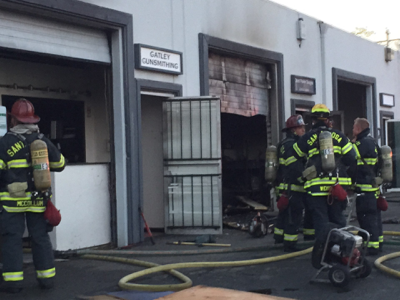 On Wednesday April 15th 2015 there was a fire at unit #50 right next door to our business. It has caused some major damage and a portion of the building has been red tagged. We are out of business. We have been told we need to vacate our unit because of severe smoke, fire and water damage and high levels of asbestos, it will need to be gutted and rebuilt. It was a great 7 years in this location and we are sad it is gone. As some of you may remember the gunsmithing business was started in unit #50 back in 1984 before they moved to Cotati in the mid 90’s and we had to move back here to the original home 7 years ago. Thank you to everyone for your great support, prayers and understanding in this difficult time.